Przemyslaw (Shem) Myszkowski and Wayne Harrison are partners of one of Southern Ontario’s preeminent architecture firms. Celebrating its sixth decade, award-winning KNYMH Inc, is a dynamic, diverse and evolving professional organization with a long history of servicing clients. Headquartered in Burlington, ON, KNYMH was established in 1957 by William E. Wall and Robert S. Yamamoto, with David H. Matthews joining a year after. The firm quickly established itself as innovators in the design of civic and cultural facilities, schools, churches, research, medical and commercial facilities, for a variety of private and corporate clients, and continued to do so with the addition of Myron Karp and Stephan Namisniak in 1991, and now under the leadership of Przemyslaw Myszkowski and Wayne Harrison. The name KNYMH reflects the legacy of all the firm’s founders. 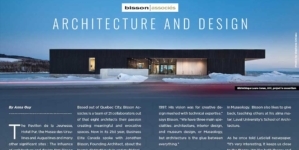 Today, Myszkowski and Harrison provide the leadership for growth for the firm, providing managing techniques which are a balance between architecture, planning, environmental awareness and community involvement. 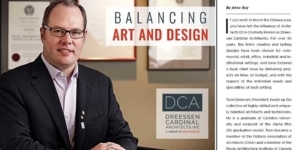 “We continue to grow and diversify, meeting the challenges of change by maintaining and securing talented people, insisting on lifelong learning, employing sophisticated technology throughout all aspects of our practice,” says Myszkowski. 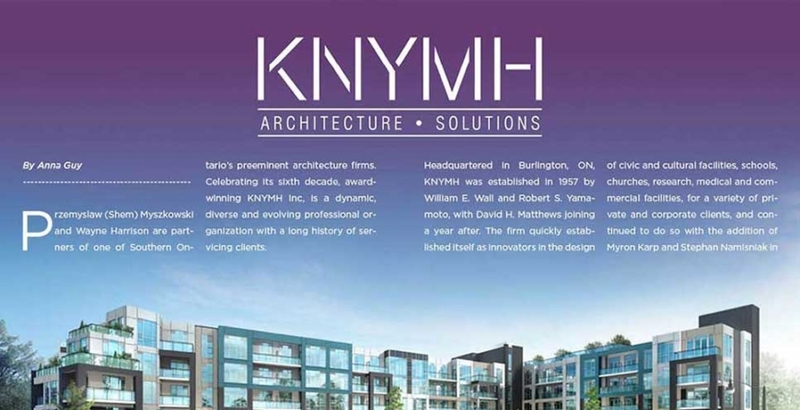 Clients choose KNYMH for its technical knowledge, understanding of the economics involved with Condominium developments and the relationship we build with its clients. 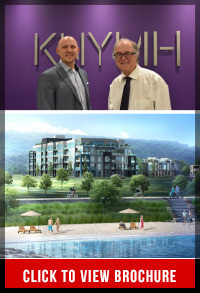 Myszkowski says KNYMH’s current focus is Mid-rise and High-rise Condominium developments in the ‘Golden Horseshoe’—Canada’s most populated and fastest-growing area. 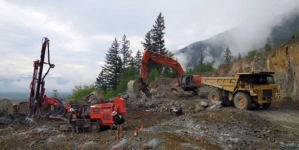 KMYMH is also involved in public sector work, and has developed a strong understanding and appreciation for Emergency Services and Operation Centres in southern Ontario. Being a client-focused company is ingrained in the agency’s DNA; when onboarding a new client, KNYMH forms consistency by assigning key personnel that will be with the client for future projects, creating a relationship based on trust, a consistent high-level of service and ownership within. AquaBlu Condominiums, Royal Connaught Residences, Belleville Fire Headquarters and Emergency Operations Centre, and Milton Operations Centre all uniquely exemplify KNYMH’s expertise. The recipient of the Most Outstanding Midrise Building award at the 2016 Ontario Home Builders Association Awards, AquaBlu’s modernist architecture is an excellent example of sophisticated residential design on the shores of Lake Ontario. 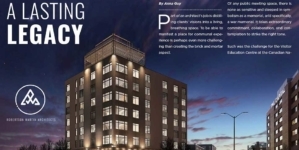 This residential project, along with the proposed premium office building is being viewed by town staff and residents as a landmark for the Town of Grimsby. Built in 1914, the Royal Connaught’s original historic façades along King Street, Catherine Street and John Street have been maintained through restoration and reinstatement of missing or damaged architectural features such as the beautifully crafted rosettes at the high cornices or rustic limestone and most notably, the grand lobby. KNYMH was also selected to take the project lead of the design of Belleville’s new Fire Hall / Headquarters and Emergency Operations Centre and the new Milton Civic Operations and Administration Centre are two successful large-scale public-sector projects. Accolades for KNYMH’s work are easy to find. From Business Excellence Awards from the Burlington Chamber of Commerce, awards from the Ontario Home Builder, Ontario Home Builder Heritage, and National Post to name but a few from its long list of recognition, KNYMH is outstanding in its field. Intelligent buildings are designed for long-term sustainability and minimal environmental impact through the selection of recycled and recyclable materials, construction, maintenance and operations procedures. 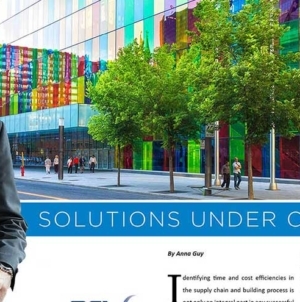 Providing the ability to integrate building controls, optimize operations, and enterprise level management results in a significant enhancement in energy efficiency, lowering both cost and energy usage compared to non-intelligent projects.